Airdrie Municipal Enforcement (AME) and RCMP are challenging Airdrie Firefighters and AHS Emergency Medical Services (EMS) to support some great causes in the Airdrie community from November through January of next year. The winner will choose a song for the remaining team to lip sync to. 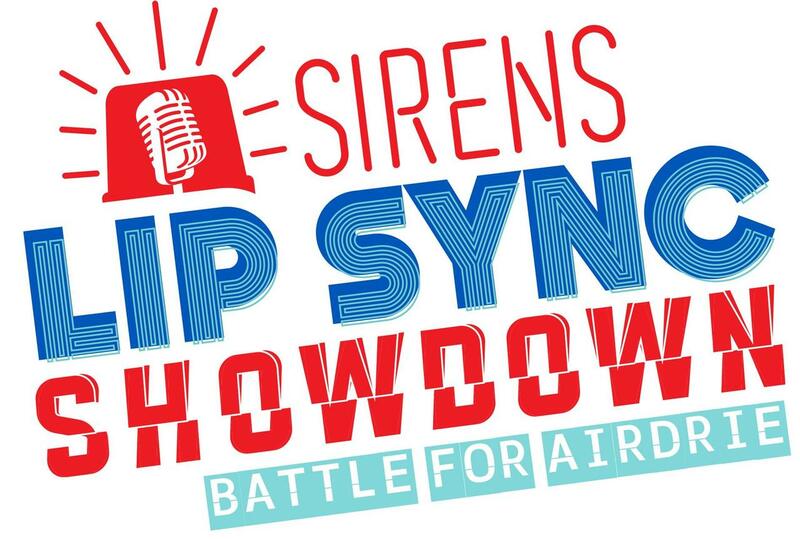 Congratulations to Airdrie Fire Department and Alberta Health Services, EMS for their victory in the first Sirens Lip Sync Showdown: The Battle for Airdrie. TEAM RED outlasted TEAM BLUE by winning the January challenge (see below) to break the tie and claim the title of champions of the Showdown. Now the real fun begins. Over the next month and a half, TEAM RED will choose a song for TEAM BLUE to lip sync to in a music video. We know you'll be excited to see the finished product. Be sure to check back here for updates on how the lip sync is going. Airdrie Municipal Enforcement, RCMP, Airdrie Fire Department and AHS EMS, would like to thank everyone in Airdrie who supported the three causes throughout the Showdown. The real winners of the Showdown are the residents of the City of Airdrie! TEAM RED and TEAM BLUE went above and beyond to support Canadian Blood Services and fill the Airdrie Donor Clinics with lots of donations and new donors. The Showdown was tied heading into January so this final challenge was the deciding factor in which team will be lip syncing. TEAM RED claimed victory for this final challenge of the Showdown. TEAM BLUE provided 56 donations and signed up eight new donors. TEAM RED provided 110 donations and signed up 15 new donors. Congratulations to TEAM RED and thank you to all who donated during the January challenge. Both teams did a tremendous job supporting the Airdrie Food Bank for the month of December. However, TEAM BLUE ran away with this month's challenge to tie the Showdown. TEAM BLUE collected over 7,493 pounds of food. TEAM RED collected 3,177 pounds of food. Congratulations to TEAM BLUE and to the City of Airdrie, who is the real winner of this competition! In a tight race TEAM RED claimed victory for the November Challenge of the Showdown, but the real winner is Airdrie! Together both teams collected over 1,500 toys worth over $21,000! 6:30 a.m. - 8:30 p.m.